Hillary Clinton & James Comey – What Difference Does It Make? 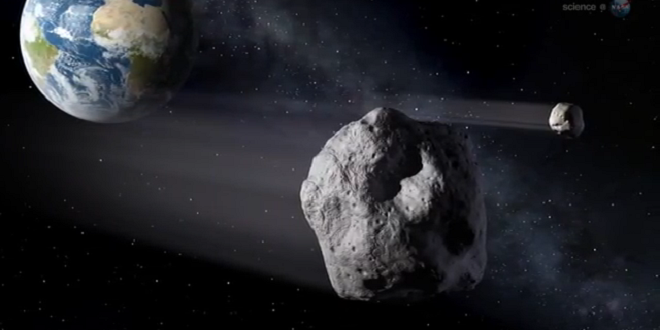 Feb. 14, 2013 – For eons, Earth has felt the tremors of asteroids striking our planet. From the extinction of the dinosaurs 65 million years ago to the felled forests around Tunguska in 1908, the space rocks keep coming. This week, Earth strikes back. When asteroid 2012 DA14 makes a record close approach to our planet on Feb. 15th, the space rock could be the one feeling tremors. New research by Richard Binzel, a professor of planetary science at MIT, suggests that many near-Earth asteroids experience a seismic jolt when they pass too close to our planet’s gravitational field. SocialistMop is political humor for the liberty-minded. We lampoon the left via satirical songs and parodies. Check out the SocialistMop YouTube channel and subscribe!